Fake Antivirus: All you need to know! Have you ever received a pop-up while browsing? Have you won any free anti-virus scanning tool to boost up your PC’s performance on the internet? If yes, then you must have seen a fake antivirus. Yes, you heard me! It is the most common way to infect your machine with these fake virus programs that you reveal nearly thousands of spiteful infection and virus on your machine. In this post, we’re going to discuss what is fake virus program and all you need to know about it. What is a Fake virus? Fake virus is a program which is specially designed to imitate computer security scans and display the fake security threats. The motive of these fake virus programs is to scare you so that you purchase the product that they are offering to fix your system which was never infected. You can also say that these are misleading tools that aim to trick users to get into their computers. Moreover, these are the high-risk malware which is created by cyber attackers to get into your system by displaying fake scan reports, number of bugs, and security alert pop-ups. These are some of the powerful tools that easily modify your systems settings and block execution of installed programs. Moreover, these anti-virus programs configure themselves to start automatically when your machine starts up. Already downloaded tools have a lot of capabilities such as they can easily gather your personal and financial data, launch malicious programs without the owner’s permission and corrupting your vital files. How to Figure Out Your System Is Infected with Fake Antivirus Programs? When you get endless security warning popup alert on your screen, where the pop-up message asks you to buy programs or call on the provided number to remove security infections, it is assumed that your system may have been infected with fake antivirus programs. Slow and sluggish performance of your machine. Not able to access the Internet or wifi connection. Blocked execution of installed programs. Receiving fake security warning alerts on your screen. 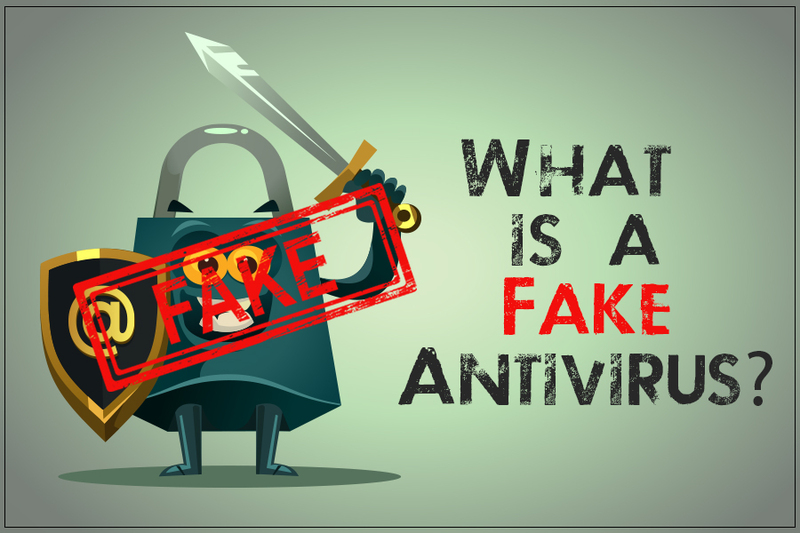 How Fake Antivirus Infect Your System? These days cyber attackers are using much more advanced technology to get into our system to steal our personal and financial information. There are various ways that are adopted by cyber attackers to spread out spiteful antivirus programs in your computer without your knowledge. Suspicious email attachment, infected websites, screen pop-ups, and fake online security scanners are the most common way that has been used to infect your system. How to avert fake antivirus programs? The fake antivirus programs are designed by cyber criminals to infect your machine for their financial benefits. Keeping your installed app, software, Java and operating systems up-to-date, not only helps you fix minor bugs but also benefits averting fake antivirus programs from your machine. Make sure your firewall is always active as it is one of the best ways to prevent unauthorized access to your computer. It is always recommended to use legitimate programs such as anti-virus, anti-malware, anti-spyware to safeguard your machine from fake antivirus programs. Another essential thing that can actually get your machine infected is, if you’re not careful and when you click on suspicious email, attachment, social media site, or text that you’ve received from unknown people. Accessing the online pop-up can also infect your machine with spyware, malware and ask you to download any of the programs to fix it. Mostly, such programs can eradicate security from your machine and invite the spiteful programs to infect your computer. First and foremost, thing is to download and install reliable antivirus on your machine. However, to boost up your security settings follow the below mentioned instructions. Firstly, you need to enable firewall to make sure that you are using the secured internet connection and local networks. You can also use the reliable third-party tool to track down your incoming and outgoing traffic to add an extra layer of security. If you want to let the AV to performs automatic system updates, then it is important to configure your settings. Moreover, updating your system improve upon past errors and offer the boosted features with better performance. In case, if your machine is infected with fake antivirus tool then it is not going to easy to get rid of these programs as they are designed for stealing and damaging purpose. However, using the legitimate antivirus and antimalware programs can eliminate these programs for you. Must Read : Do You Need an Offline Malware Scanner? Keeping your system regularly optimize and updated will help you to protect your computer from fake virus programs. Download the programs from the trusted website to avert fake antivirus programs so you never end up compromising on your data.